Dr. Lisa Björkman, Research Scholar at the University of Göttingen’s Transregional Research Network (CETREN) in Germany, joined us recently for an IDFC-U discussion on "Becoming a Slum: How Water Supply to a Municipal Colony became 'Illegal'. During this off-the-record exchange, the group considered the complicated mesh around water supply and access, politics, power, crime, and socio-economic classes in Mumbai. They saw how the varied sources of water- from one-inch diameter pipes that unofficially divert water from the distribution system to individual households, to private tanks- yield a system wherein the location of a house has no correlation with the location of its water source. Auditing and mapping water sources has also been such a complex task that no one has accurately been able to do this in Mumbai. They deliberated on the Slum Rehabilitation policy of the state, which in several cases has caused the recognition of slums to be synonymous with the demolition of the slums, because of private developers’ building housing for other income segments while rehabilitating the slum dwellers, under the scheme. Officially recognising slums by cut-off dates was also linked to making it illegal to supply water to slums appearing after such a date- a contrast from electricity supply, which faces no such restriction in supply. They also considered that water problems do not map neatly along socio-economic classes, but are also suffered by elite citizens. Dr. Björkman’s paper “Un/knownWaters: Navigating Everyday Risks of Infrastructural Breakdown in Mumbai” provides further insight into the topic. Rithika Kumar: Thank you Dr. Bjorkman for joining us today. Your research on water supply in Mumbai has led you to do some extensive fieldwork in the Eastern regions of Mumbai. Thus, giving you a great insight into the service delivery mechanisms at work in this city. To start off, through your work in the slum colonies of Shivajinagar-Bainganwadi you’ve explored the political economy stakes involved in what/how a slum is classified, which you have explored in quite some detail in your paper – “Becoming a Slum: From Municipal Colony to Illegal Settlement in Liberalization-Era Mumbai”. So if you could just shed some light on slums and how we see them as what we see them today. To elaborate, legally speaking, the 1971 Maharashtra Slum Areas (Improvement, Clearance and Redevelopment) Act (hereafter the Slum Act) allows to be “declared” a slum “any area [that] is or may be a source of danger to the health, safety or convenience of the public of that area or of its neighbourhood, by reason of the area having inadequate or no basic amenities, or being insanitary, squalid, overcrowded or otherwise”. Thus, it called for slum declaration in order to lead a way for infrastructure provisions in that area. Nowhere in the formal definition of a slum is it associated with illegality or informality. Over time however there has been a great divergence in our interpretation of this definition. A slum is now often used interchangeably with encroachment or an illegal/informal settlement. Why do you think such a change has come? If you can elaborate on why and how this conflation of “slums” and “encroachment” came about? Lisa Björkman: It’s a great question. As you point out, the legal categories of ‘slum’ and ‘encroachment’ are formally distinct in Mumbai—the former defined, rather hazily, by poor quality of housing or civic amenities, and the latter by lack of conformity with various land-use and zoning laws. According to earlier, pre-1990s slum policies, identifying a neighbourhood as a ‘slum’ served as a way of identifying it as deprived of civic amenities, and therefore eligible for programs to redress this lack through civic infrastructure and upgrading schemes. Throughout the seventies and eighties popular neighbourhoods and affordable housing were built and provided with civic amenities in Bombay through a variety of processes and arrangements that index a lively politics of housing possibility and infrastructural provisioning during these years. In the M-East Ward, for instance, the self-built neighbourhood of Kamla Raman Nagar had by the early 1980s been officially “declared” a slum under the provisions of the Slum Act, and the water department, in accordance with the dictates of the Slum Act, had laid a new water main through the neighbourhood. The declaration of Kamla Raman Nagar as a “slum,” it must be noted, did not function to distinguish “legal” from “illegal” land uses, but rather facilitated the provision of municipal services like water, roads and sewerage to this infrastructurally under-serviced neighbourhood. So as far as water was concerned, infrastructural challenges experienced by popular neighbourhoods like Kamla Raman Nagar were, before the 1990s, treated by municipal authorities primarily as hydraulic rather than legal problems. RK: Wow! It’s true, not many of us are aware of the divergence between our “idea” of a slum and what it is defined as. But it is however true that huge percentage of the population of Mumbai, about 54%, lives in slums. So what we are seeing is a very visible dichotomy in this city- in terms of where/how people live, their incomes, their access to services etc. Specifically focusing on water provision, on one hand we have apartments with water 24/7 and on the other there are slum colonies where water is available for anywhere between ½ an hour to 2 hours. What are the reasons for these differences? Can we only attribute it to the financial/technical incapacity of the formal water distribution system to reach all the 12 million inhabitants of the city or is there a political language that also affects hydraulic citizenship? Also, can we safely say that the shortage of water supply only limited to slum colonies? Or do we see it prevalent irrespective of whether one lives in a gated community or a slum? What is your opinion on this? LB: What my research found is that high-end housing societies negotiate a strikingly similar hydraulic-institutional framework and procedural landscape in order to get water and hedge against the risks of water shortage. It is not the case, in other words, that the distribution system is pressurized when it comes to posh buildings and not to slums. There are plenty of popular neighbourhoods (for instance, older neighbourhoods in the island city) where water pipes are pressurized on a continuous or nearly continuous basis, while it was not uncommon for bungalow societies and gated communities in the eastern suburbs where I lived to receive water from the municipal feeder mains for only 1-2 hours per day. The real difference that money makes has to do with how this shortage is hedged. In Mumbai’s wealthier societies, the work of ensuring that water is in individual taps is outsourced to building managers, whose job it is to arrange for tankers when storage tanks are low, and these bulk costs are socialized in monthly society dues. This means that many people in the city might be experiencing infrastructural breakdown but have no idea because they do not have to deal with it themselves; their interface with the municipal distribution system is mediated. So perhaps the boasts of 24x7 municipal water in posh areas colonies ought not to be taken at their word. Meanwhile, in low-income neighbourhoods where bulk water storage is not possible due to space constraints and purchasing power, by contrast, people rely on daily retail purchases – which is often more expensive as well as incredibly time consuming. RK: Clearly from what you described above, in terms of water service provision, the formal water distribution system is unable to provide for a huge section of the population (be it for someone from a slum colony of a high rise apartment). And so, this gap in service provision has come to be filled by various intermediaries, which you have discussed in quite some detail in your paper. Could you shed some light on the nature of these intermediaries and various contracts that slum dwellers have forged to fill this gap? How easy or difficult is it to forge these contracts given the risky nature of this arrangement? Could you also dwell on the influence of local space based knowledge in forging these contracts? LB: In Mumbai, everyday activities – for instance, accessing municipal water, applying for or renewing identity documents, securing permission from the municipal authorities to carry out home renovations, getting a child registered for school, applying for a school-fee waiver, registering a birth, marriage, or death in the family, starting a business, disposing of garbage, unblocking gutters, taking out a low interest loan – these sorts of things often require mediation by someone who can provide needed information and technical assistance. Given the legal vagary and contradiction that characterizes everyday life in Mumbai – and this perhaps especially true in neighbourhoods treated as “slums” but by no means exclusively so – both the production and maintenance of a neighbourhood’s physical form and infrastructure as well all manner of business activity generally involve some kind of intervention or help by someone who has access to various kinds of knowledge, networks, and resources to navigate the city’s physical, legal, and economic opacities. The number of young men and women self-identifying as social workers has dramatically expanded in recent years; as one young man put it, “These days, everyone’s a social worker!” Social work is a way for an enterprising person to generate both employment and a reputation for him- or herself, thereby opening up future business or political prospects. RK: In your paper you discuss how we often assume that rights bearing citizen access water “formally” while the urban poor resort to what we call “informal means” to access services. If you can tell us what are the questions that remain unanswered OR what is the fundamental flaw when we make this simple binary classification of formal vis a vis informal methods to access. LB: The flaw is to confuse political discourse with what actually flows (or does not flow) out of the city taps. What my research discovered is that the complexity and volatility of the water distribution network means that both rich and poor neighbourhoods engage in all sorts of infrastructural activity – secondary markets and other sorts of hydraulic interventions that have ambiguous relations to formal policy. But policy framework of “slum redevelopment” means that other policy frameworks and possibilities that might be used to bring infrastructural resources and public services to low-income neighbourhoods are obviated. Meanwhile, in posh areas, water supply to unauthorized vertical constructions is formalized on highly euphemistic so-called “humanitarian grounds.” To take these ideas - that the so-called slum dwelling poor have informal water arrangements while “citizens” access water as a right – is to confuse political discourse with empirical reality . RK: On that note, can we say that water for a long time has been a highly politicized amenity, which has often been used by political parties to lure voters into electing them? How far do you see this playing out? How important do you think is it for a voter to ensure these services are made accessible by the local politician and how far does this influence his choice/vote? Any instances/anecdotes from your fieldwork you would like to share? LB: The language of “luring” is somewhat cynical, suggesting that the poor are being fooled by false promises. By contrast, what my research found is that voters make careful choices based on their knowledge and experience of hedging risk of water shortage. Elections are a high-stakes business, and voters are extremely discerning in deciding whom to support – who they think will help to bring infrastructural and public resources to bear on their neighbourhoods. In Mumbai, what I learned is that the voting poor are very adept in holding representatives accountable to bring resources to bear on neighbourhoods – good representatives have made dramatic transformations in area infrastructures by writing upgrading projects into budgets, by bringing alternate policy possibilities to bear on underserved neighbourhoods. RK: Finally, if we took a macro view of how Mumbai has been governed, we will see that Mumbai has been an administratively and politically fragmented city. That is, with coalition parties at the state government, state parastatals and municipal bodies governing at the local level. How do you think this has affected service provision in the city? LB: I’ll speak about water since that’s what I know best. One thing that’s clear is that while Mumbai has been governed by coalitions, the various parties been in firm agreement on issues having to do with world classing the city: slum redevelopment, mega infrastructure projects etc. The disastrous effects that the world-class city-making project has had on Mumbai’s built environment and infrastructures have become some of the most contentious issues in city politics. My research found that Mumbai’s increasingly-illegible and volatile hydrologies are lending infrastructures increasing political salience just as actual control over pipes and flows becomes contingent upon dispersed configurations of knowledge, power, and material authority. We have unprecedented numbers of candidates contesting municipal elections (I’ve researched municipal elections) and growing numbers of independent candidates. Mumbai’s water infrastructures, in other words, are animating new arenas of political contestation that are being articulated through rigorous practices of electoral democracy. For better or for worse, these political machinations reveal the precarious nature of the much-debated project to remake Mumbai as a “world class city” in the image Shanghai or Singapore. Instead what we see is that the future of the city is hotly contested. 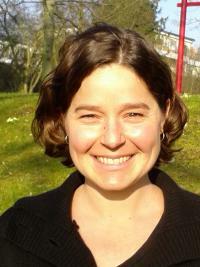 Lisa Björkman is a research scholar at the University of Göttingen’s Transregional Research Network (CETREN) in Göttingen, Germany. Her work studies how global processes of urbanism and urban transformation are redrawing lines of socio-spatial exclusions and inclusions in Mumbai, animating new arenas of political mobilization, contestation and representation. Lisa’s forthcoming book, Pipe Politics, Contested Waters: Embedded Infrastructures of Millennial Mumbai (Duke University Press, October 2015), is a political ethnography about the encounter in Mumbai between market-oriented urban development reforms and the material politics of the city’s water infrastructures. Lisa received a Ph.D. in Politics from the New School for Social Research in New York in 2012.